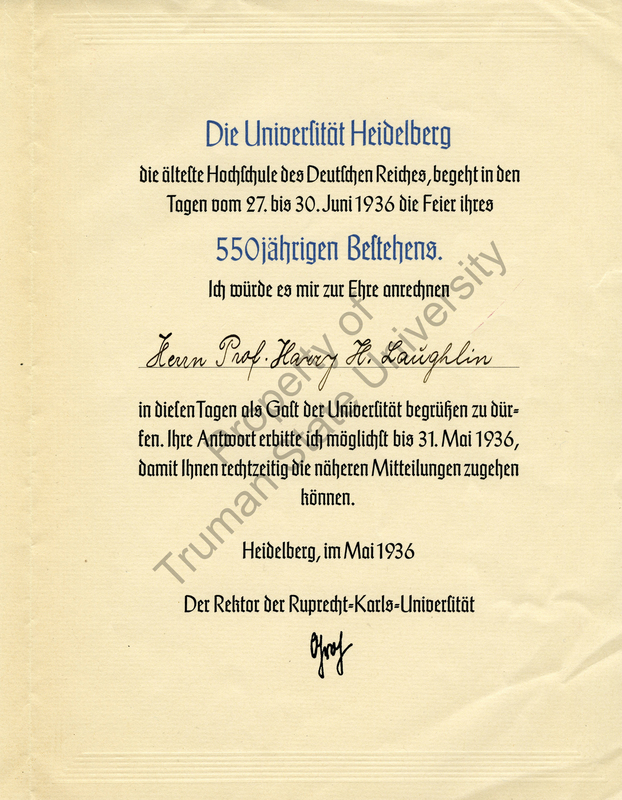 In 1936, Harry Laughlin was awarded an honorary Doctorate of Medicine from the University of Heidelberg in Germany. 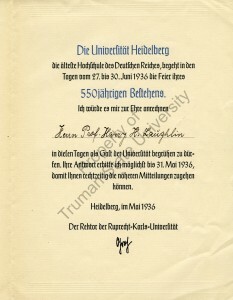 Laughlin received the degree in large part due to his own work on policies regarding the sterilization of the unfit. 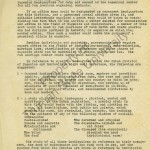 The Nazi party based much of its own sterilization laws on Laughlin’s model. 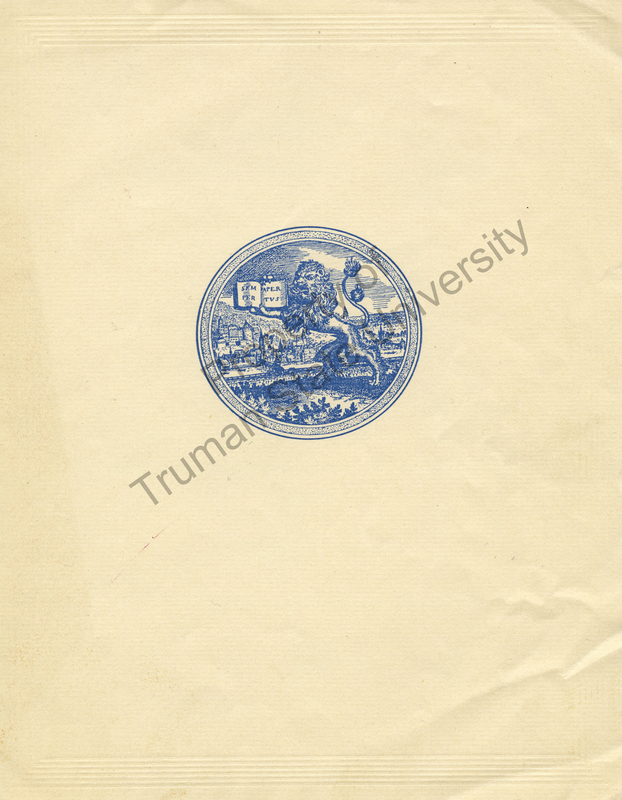 After being told he was being given the degree, Laughlin corresponded with the institution’s Dean of the Faculty of Medicine, Dr. Carl Schneider, on August 11, 1936. Laughlin thanked the institution for honoring him with the degree, but asked for physical confirmation of the degree being granted to him. 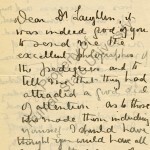 He concluded the letter by explaining that he hoped the degree was a sign of “evidence of a common understanding of German and American scientists of the nature of eugenics as research in and the practical application of those fundamental biological and social principles which determine the racial endowments and the racial health, physical, mental and spiritual, of future generations.” Laughlin looked forward to bolstering the relations between the American and German eugenics movements. Image Source: Certificate of Harry H. Laughlin, University of Heidelberg, 1936, Harry H. Laughlin Papers, E-1-3:8, Pickler Library, Truman State University, Kirksville, Missouri.